Hey, gang. Sorry that reviews have been coming kind of irregularly for the past few weeks/months. I just got a job, and I’m still shaking off the summer cobwebs. On an interesting side note, I have encountered some huge f*cking spiders when taking out the trash. Seriously, one of their webs got caught in my hair and I thought it was a tree branch. Anyway. Hopefully the move to a more regular review schedule will happen as…actually…as I intend it to, and you kids will get a review of Lawless on Friday. 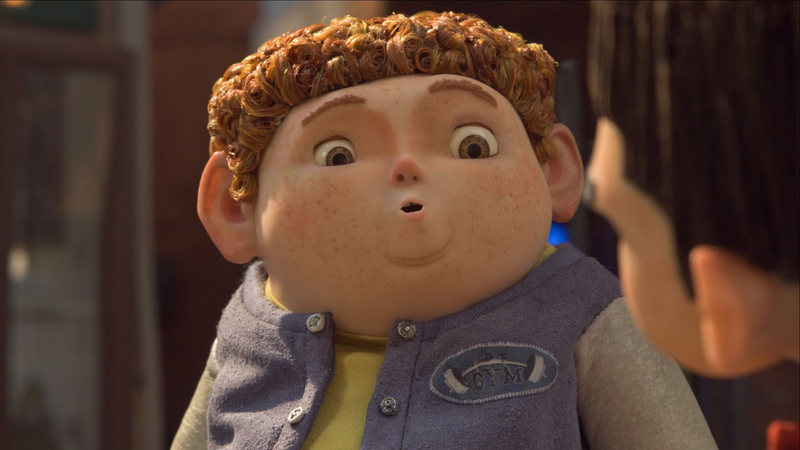 In the meantime, here’s a review of ParaNorman. If you were for some reason on the fence about seeing it, I do make some pretty good points in favor. That, ladies and gentlemen, is how you make a trailer. The Plot: Norman Babcock (Kodi Smit-McPhee) can see ghosts and has a certain fascination with the dead. Being weird gets him bullied at school and berated by his father, a state of affairs that he accepts with quiet, lonely dignity. But when a centuries old witch’s curse begins to endanger his town, Norman is the only one who can save the people who so readily ostracized him. Wild shenanigans and surprisingly heartfelt talks about forgiveness and the nature of fear ensue. Seriously, I got super teary in the third act. Norman is a sweet, shy, weird kid. He’s nice, but his fascination with the dead sets him apart from pretty much everyone else. He isn’t bitter, exactly; just sad, and a little defeated. Norman thinks that he’s better off alone, until he meets Neil (Tucker Albrizzi), a cheerfully optimistic fat kid (it’s a movie term) who’s no stranger to bullying. Neil sees Norman for what he is: a complex and decent person, misunderstood by the small-minded population of a small town. It’s really touching watching Neil work away at Norman’s defenses, gradually befriending the 11 year-old outcast. It may be a dynamic we’ve seen before–social rejects becoming friends–but it’s done so well that it feels both fresh and genuine. The film’s greatest strength is its sincerity. Even the bullying is treated with a kind of worldly understanding that’s very refreshing. As Neil cheerfully tells Norman: “there’s always going to be bullies.” But Neil doesn’t let them get him down, and Norman shouldn’t either. 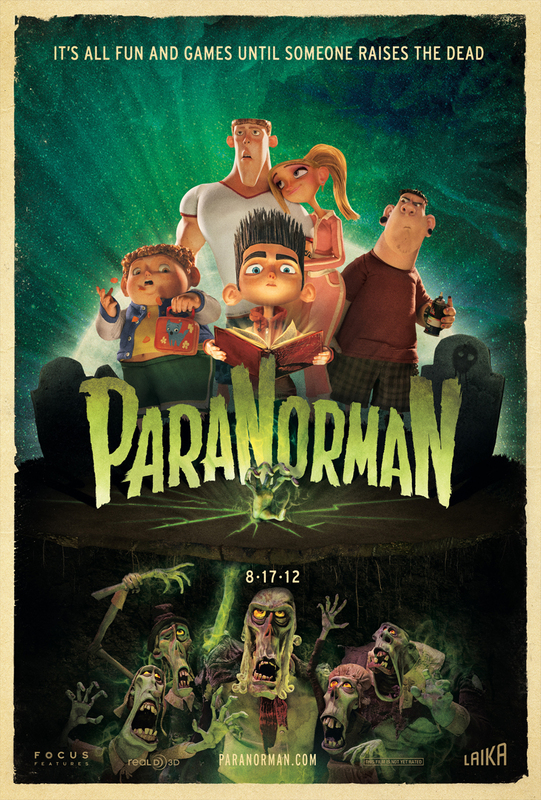 Much of ParaNorman‘s story builds towards creating a message of compassion in the face of fear and misunderstanding. That the story is also full of warm, sometimes dark humor and wry wit is what elevates it beyond a simple Weird Kid Saves the Day tale, or, God forbid, a preachy movie about tolerance. But ignorant townspeople and frustrated parents aren’t the only bullies in the film. Way back in Pilgrim times, the town leaders ordered the execution of a witch. The witch cursed them, so that when they died, their spirits would remain on the Earth and they would rise as the living dead. The curse has been kept at bay and the witch’s spirit placated for hundreds of years now, but these things have a way of coming back around. Skeletons in the closet, so to speak. Get it? ‘Cause they’re zombies. 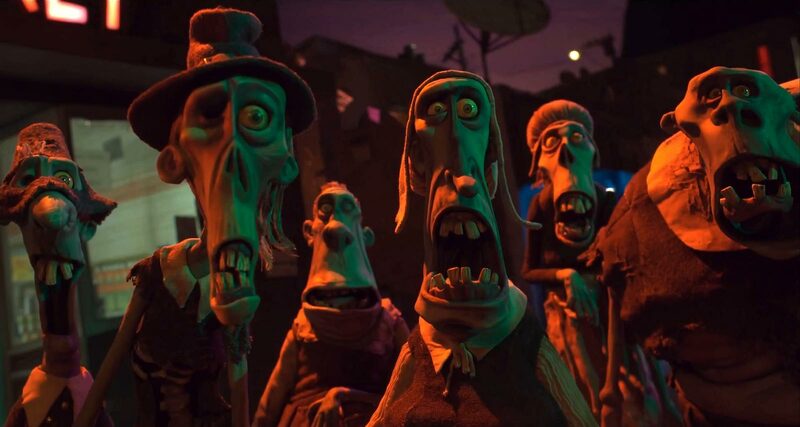 ParaNorman is a film about fear, regret, and compassion. It’s about meeting people with understanding when it would be easier–and perhaps even more satisfying–to lash out. And there’s another important lesson, given to Norman by his grandmother, as he prepares to go out alone against the living dead and a powerful witch: “It’s okay to be scared, as long as you remember who you are.” It’s easy to lose sight of the good in yourself and other people when you feel threatened, but part of bravery is facing those fears with dignity and compassion. Should you see this movie? Yes. Yes you should. It’s painstakingly made and wonderfully scripted. It has a good message and well-drawn characters. Adults will appreciate the humor and complexity, but kids should see it too. Any scary moments are undercut by humor, and the intensity of the final confrontation is important. If it’s too much for your child or your younger sibling, take the time to explain it. ParaNorman offers some good lessons. You should watch it. In theaters, if possible. It’s also really fun for your eyes. Yeah! 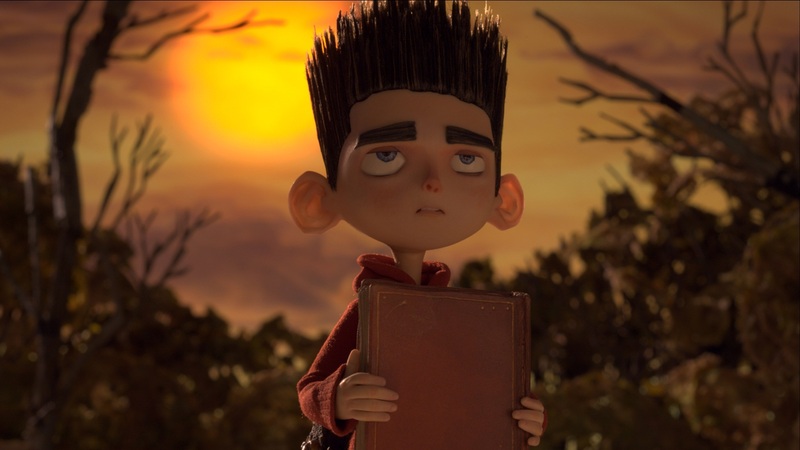 I really liked ParaNorman. I think that because of its message, it is the perfect film for children ages 10-13 who have been bullied. It delivers very nicely. Plus it’s only, like, twenty percent as emotionally scarring as Coraline. And let’s not forget the kids ages 10-13 who might be inclined to bully. They should probably see this too. And then sit down and have a nice, long talk with someone over some tea or Mountain Dew or whatever bullies drink. lol… i love the review,and i had been thinking it seems like a nice movie. plus i love those types with the animated whatever they are called. used to be ‘clay mation’ when that style first came out in the mid-late 80’s. This is still claymation. These guys are old school, and try not to use computers. I hope you are giving out your url at work — people would benefit from your sage advice!